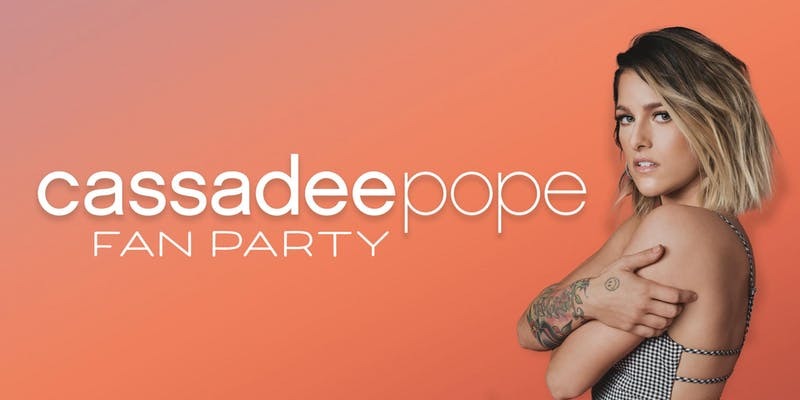 Cassadee Pope Announces Fan Party During #CMAFest Week! Cassadee Pope will hold her first ever fan party at the W. O. Smith Music School on Tuesday, June 5, 2018 from 4:30 - 6 PM! Tickets on sale now!